A fine grade Stainless Steel Prince of Wales Spur with a smooth rolling ball. • Rigid and reliable these spurs are built to last. 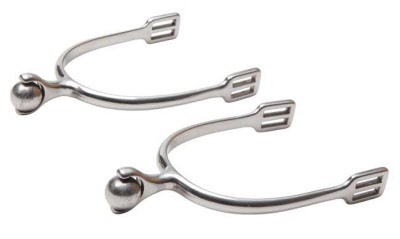 • Roller spurs are kind to the horse, easy to use and look sensational.